I drove up to Crowborough yesterday to visit the 'Hospice in the Weald' charity shop. Admittedly I had to do a clinic at the hospital while I was there, but that was a minor inconvenience. As charity shops go, it's always been one of my favourites, and has achieved Weald-wide fame as the place to go for quality films and cheap laptops. The song being 'D.I.V.O.R.C.E.' by Dolly Parton. Obviously there's very little a book like that can teach me, but I thought I'd buy it for Lisa, so she can see where she's been going wrong. Especially after she had the nerve to give me a 'D' in the Relate Heart-to-Heart test. 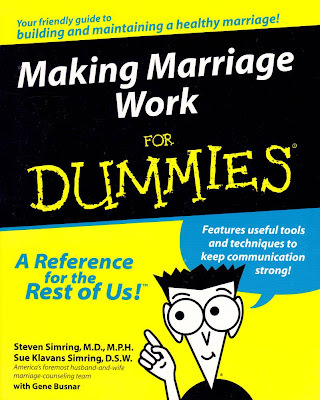 It's written by Dr Steven Simring and his ball & chain (I bet their relationship's simring hot), who are apparently "America's foremost husband-and-wife marriage-counseling team", so with a bit of luck, it should help us make it to our second anniversary. Although if not, there's a chapter on remarriage. In addition to 'Making Marriage Work for Dummies' (which is much harder than for normal people), the Hospice in the Weald also had a copy of 'Rekindling Romance for Dummies'. I flicked through it, but decided against buying that one. It seemed to be all about taking your wife away for weekends, and frankly I'm too knackered. So I stuck with the book above. 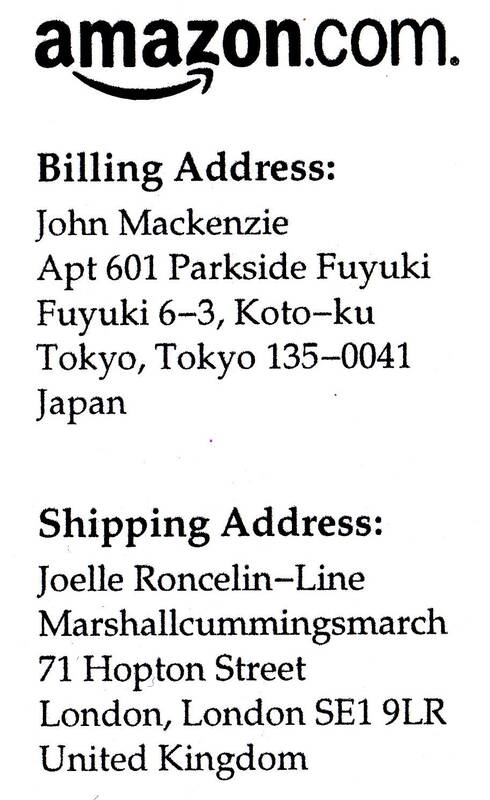 It can't be easy making your marriage work when one of you is living in Japan. So John came across two books about saving your marriage, and decided to give them to Malc and Joelle for Christmas. It makes Madge seem positively friendly. Fortunately, the world is a wonderful place. One day, you're buying a marriage guidance book in Crowborough; the next day, you're entering a stranger's name into Google. It turns out that John has a website. I might e-mail him and ask him what he was thinking. 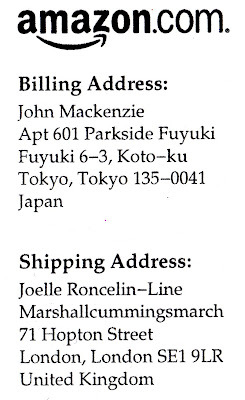 I'd like to email John to ask him what his job is. He seems to get around nearly as much as Big Sis. They might get on well together. Actually, he's probably reading all this by now and will turn up with a comment. !!! Those are post Facebook exclamation marks. What is it about you and your mum and Big Sis? Have you got a book running on this? A game for all the family. But did he leave the Amazon slips in the books? Crass. Reckon he will still be single.